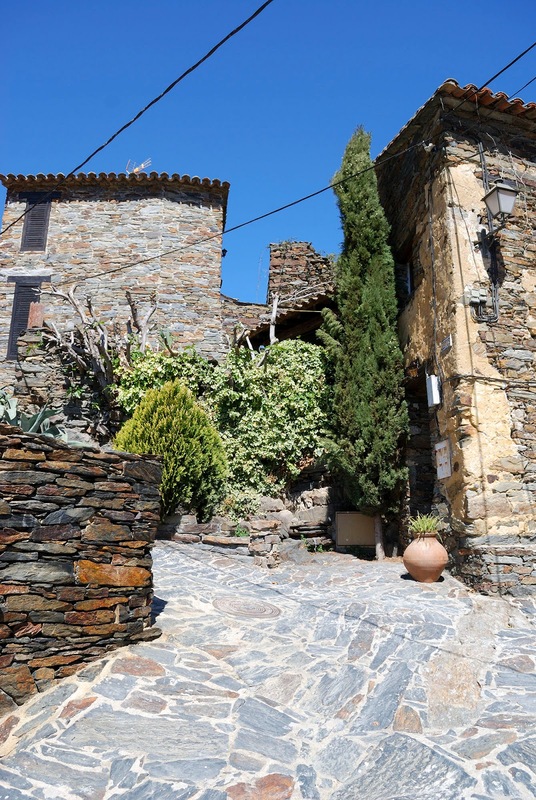 Patones de Arriba is a charming village full of stone and black-slate houses north of Madrid. 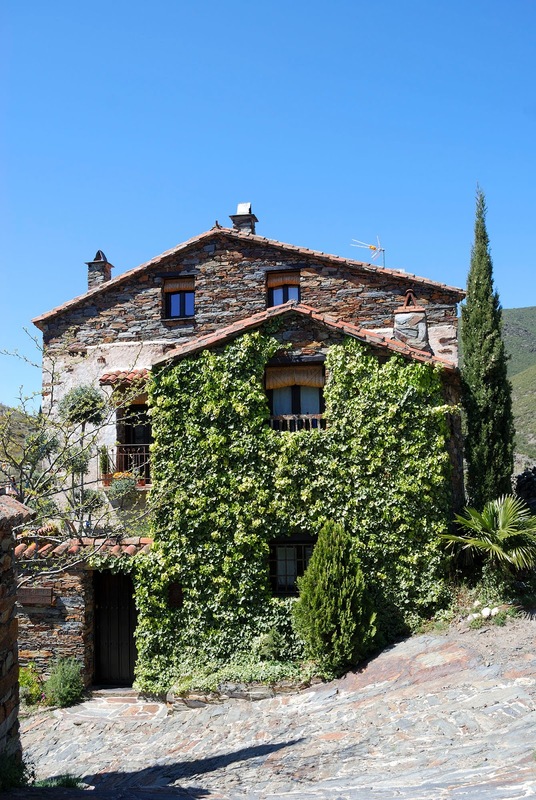 Surrounded by Sierra de Guadarrama mountain range, it is a haven 45 minutes away from the concrete jungle. 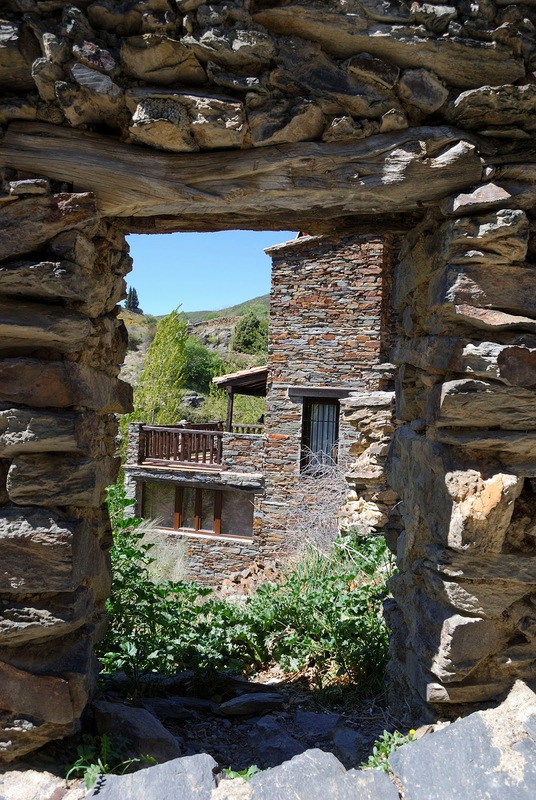 Patones has preserved the architectural tradition of slate construction, is known for great gastronomy options and offers several hiking routes. 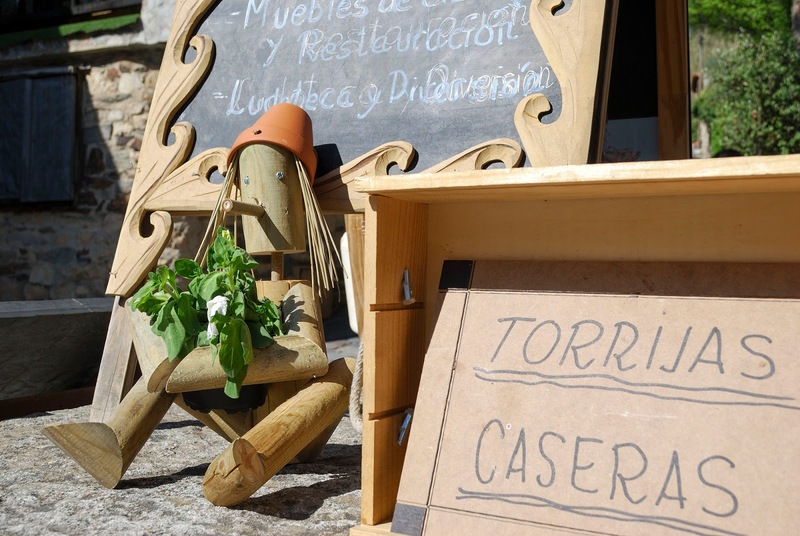 It's the perfect day trip from Madrid. The first thing to do is to take a breath of fresh air as soon as you arrive. 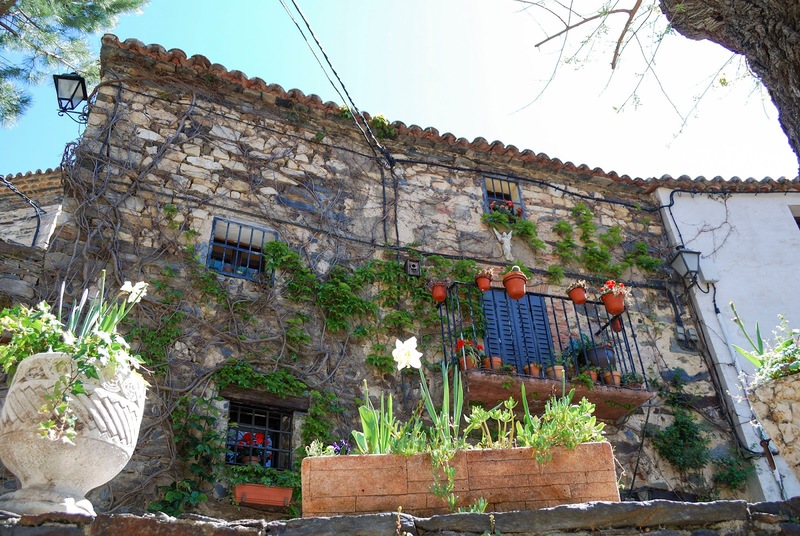 Then, wander the beautiful narrow streets and explore every single corner of Patones de Arriba. Alluring stone houses, many of which are covered in ivy, will make you want to move here and leave the stress of big cities behind. 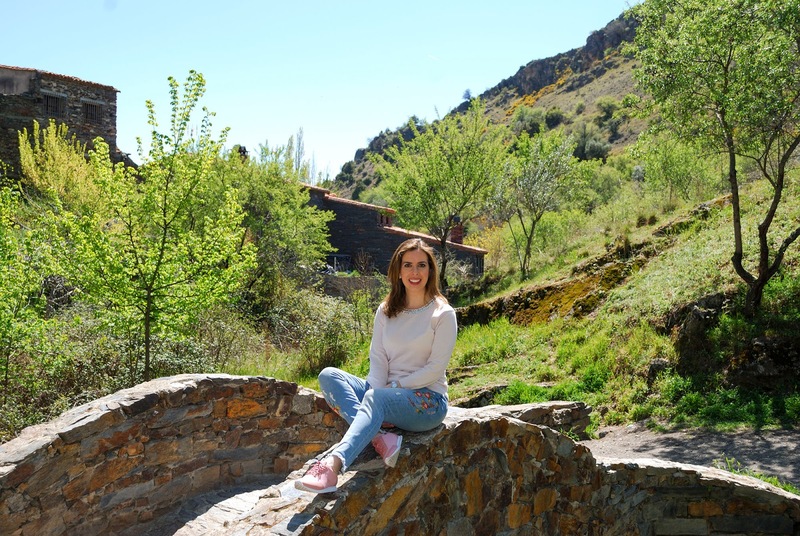 Patones is considered one of the most beautiful villages in Madrid and as we have seen, it is an ideal destination to disconnect for a day. Unfortunately, there is a downside. The place is very popular and it's packed on weekends, especially in spring and summer. On this post I'm going to help you plan your visit to Patones so that you don't make the same mistakes as we did. 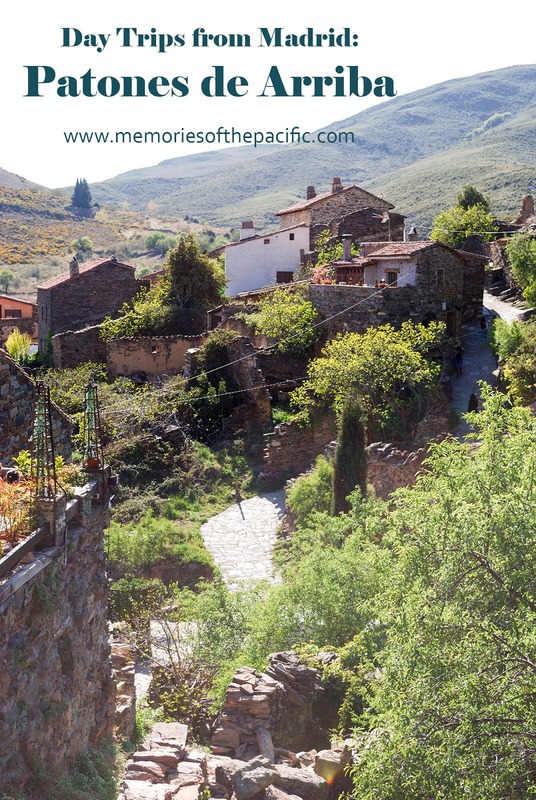 Nowadays Patones is all about tourism but once upon a time it was an agricultural-based village. 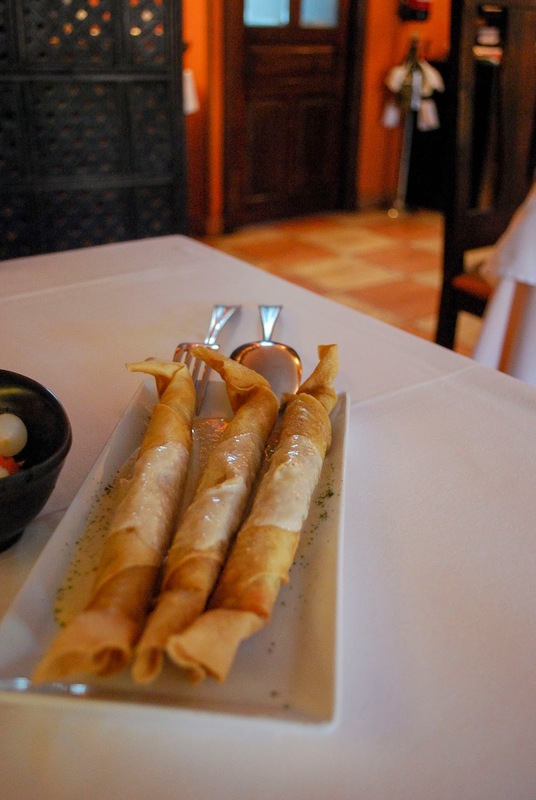 Rumor has it that Patones even had its own monarch until the 18th century. 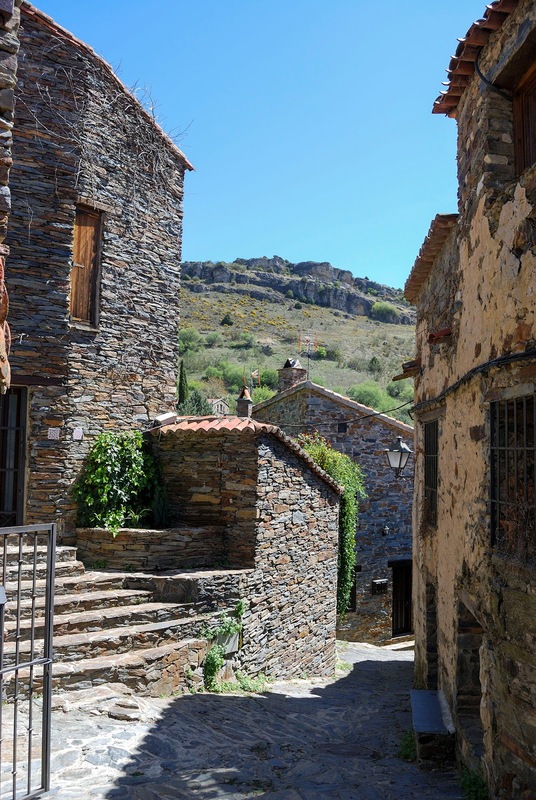 If you love history, I have good news for you: Patones is surrounded by archaeological ruins. There are ancient caves from even before the Romans settled there and that were used by shepherds afterwards. Half a day is enough to see Patones so go very early in the morning -before 11:00- or before sunset. Lunch time is the busiest period. 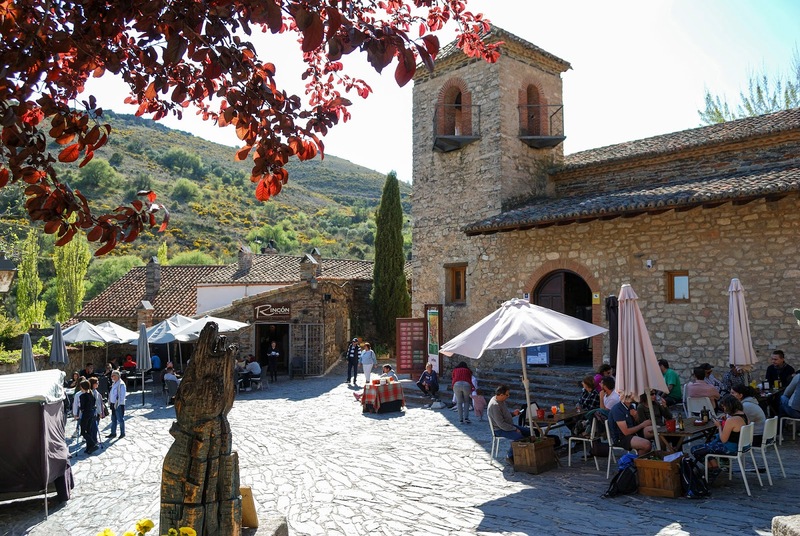 Many Madrileños go to this tiny village so it can get too crowded in summer, better to go in spring or fall. Most of the buildings in Patones are restaurants so there are many options. 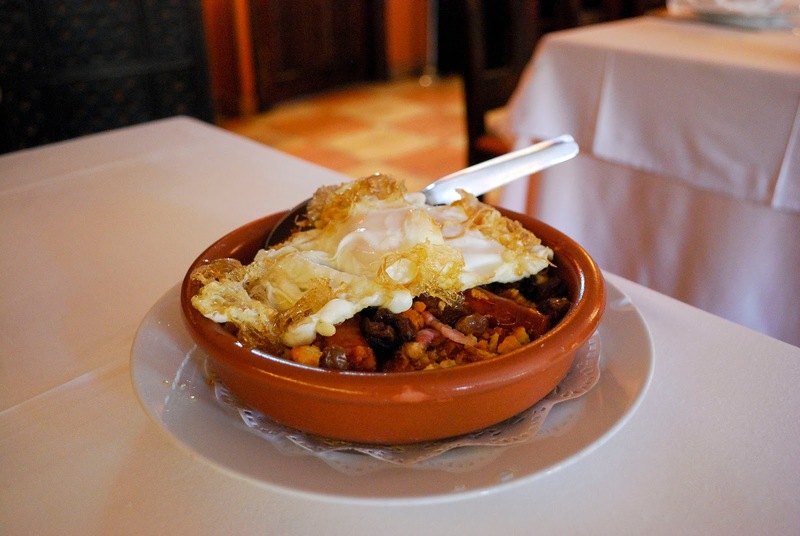 All of them serve typical food of Madrid and their main dishes consist mostly of meat. Despite the amount of eateries, I advice you to make reservations before you go. We had reservations at El Rincon de Patones. The food and service were great but the prices on the menu are misleading because they don't include taxes so dishes ended up being much more expensive than we expected. A piece of advice: if you don't want bread, tell them because they won't ask and they will charge you for it. If you book through The Fork, you get a 30% discount. The #1 restaurant in TripAdvisor is El Rey Patones, even though we didn't try it, it looked like the best restaurant in the village from outside. If I were to go to Patones again, I'd surely eat there. If you go by car, the best thing is to park at Patones de Abajo and walk the 800m (10 minutes) to the village. Bear in mind that it's a steep path that you have to climb up. Parking in Patones de Arriba is not allowed unless you have a restaurant reservation and that will cost you 5€. 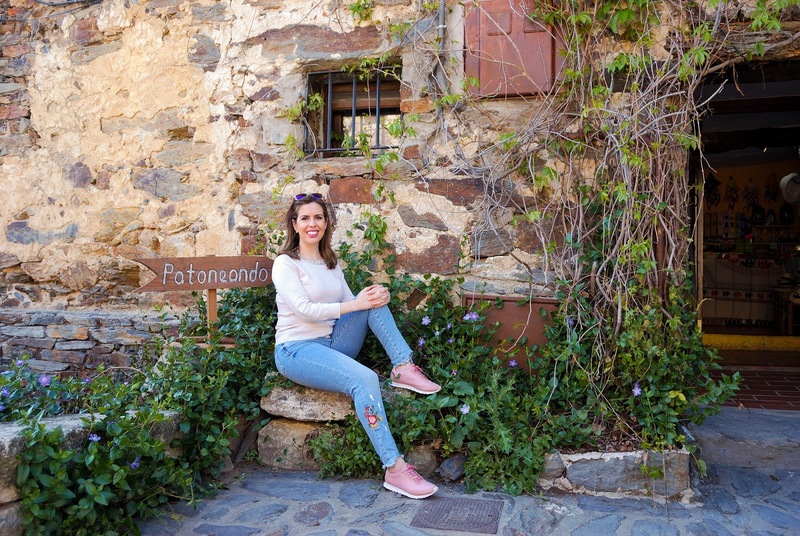 Patones is all hills and cobblestones so wear comfy shoes. If you want to blend in with the crowd, Madrileños wear sneakers, jeans and sweaters or hoodies. You can find my Lacoste sneakers here. A week ago, we turned another pager of the calendar, summer is closer than we think! I’m sure many of you are thinking of where to go for your summer vacation. We like to spend a week every year on a beach resort in the Spanish coast of Andalusia. Endless beaches, fresh seafood and fish, warm breeze, lots of R&R…we all crave some pampering after months of hard work, right? 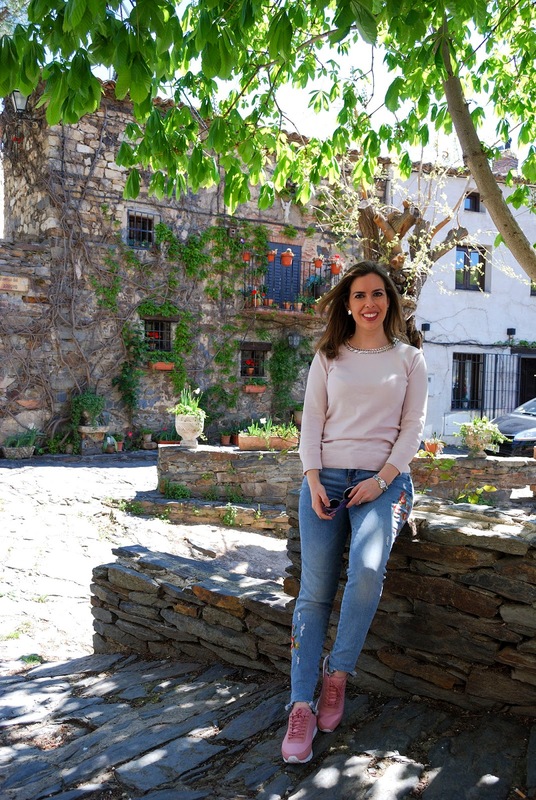 On this post, I’ve put together a list of southern Spain resorts and playas -beaches- my family, my husband and I have visited throughout the years. 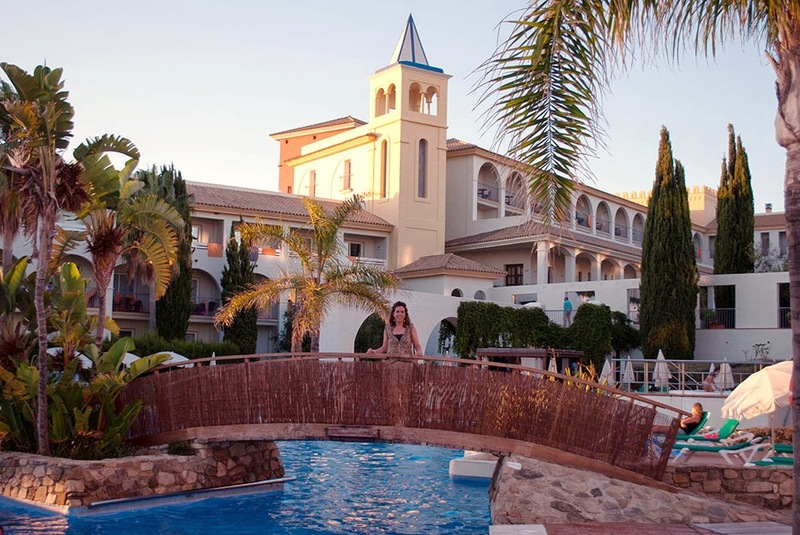 Beach hotels in Spain are high quality and affordable -most of the ones here are 4 star- and we've always had great experiences. I’ve also included places to visit because we like spending the morning at the beach and doing some sightseeing after lunch and siesta. I haven’t included any restaurant recommendations as we always book half board. These hotels and resorts offer excellent all-you-can-eat buffets so it’s a no brainer. If you prefer to eat out, most of them are on the seafront which is usually lined with tapas bars, seafood restaurants and nightlife. 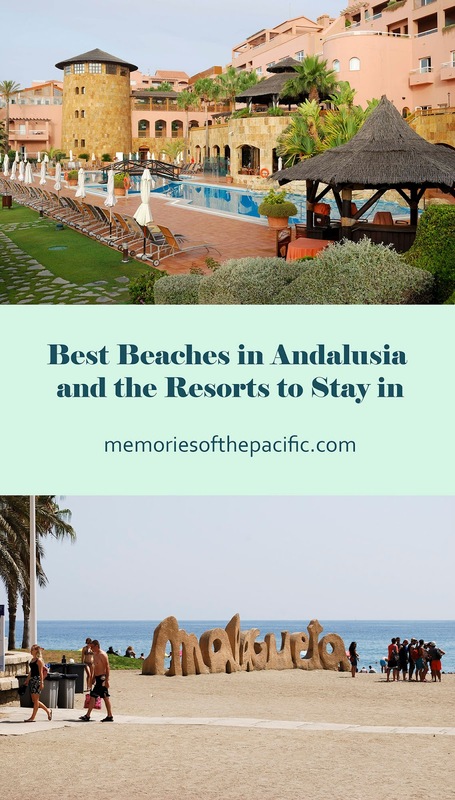 Here’s my list of best Andalusia destinations, resorts and beaches. Located in the south-west corner of Andalucia, Huelva is known for its immaculate empty beaches and a huge national park, Doñana. It is also close to the Algarve in Portugal. Huelva’s Costa de la Luz -Coast of Light- has an impressive 75 miles of coastline. Doñana: salt marshes, dunes, scrub and pine forest make up this world heritage national park. It is also home to endangered species such as the Iberian lynx. El Rocio: picture a church in the middle of the desert, the setting looks like a western movie with people riding horses. Every year on May 1st a million pilgrims arrive in wagons and horses to pay homage to Our Lady of El Rocio. Ayamonte is one of the most popular towns in Costa de la Luz, it’s vibrant and full of life. 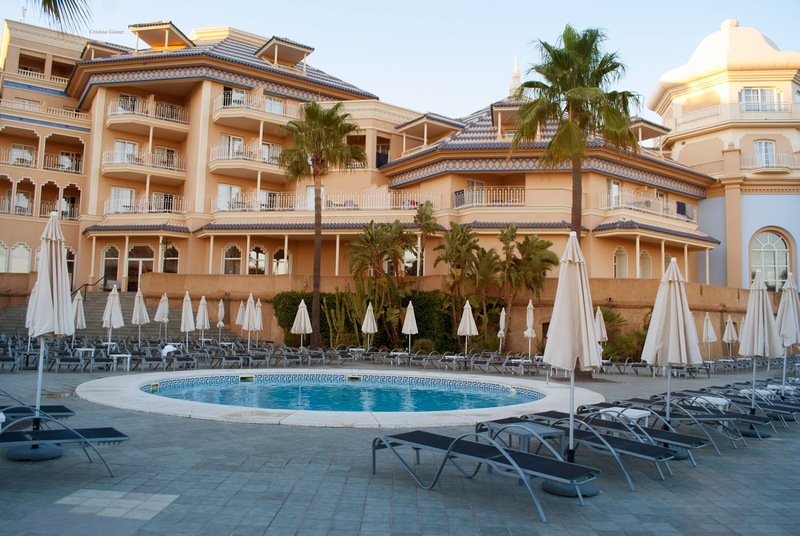 If you prefer a more secluded hotel, you can find a Parador in Ayamonte. La Rabida Monastery and the replicas of Columbus ships. Lagos, a charming coastal town in Portugal. The region of Cadiz is also part of the Atlantic coast, Costa de la Luz, or coast of light. It’s known for miles-long beaches where you will find more people than in Huelva but less than in Malaga. Zahara de los Atunes is one of the Cadiz’s prettiest fishing villages is home to the wonderful Playa del Carmen. Melia Atlanterra Hotel is one of the most beautiful beach resorts I’ve stayed in, the Arabic influenced decor was my favorite part. Playa de la Fontanilla in Conil de la Frontera, 2km-long beach which includes the beautiful coves Calas de Roche. Fuerte Conil-Costa Luz Hotel. 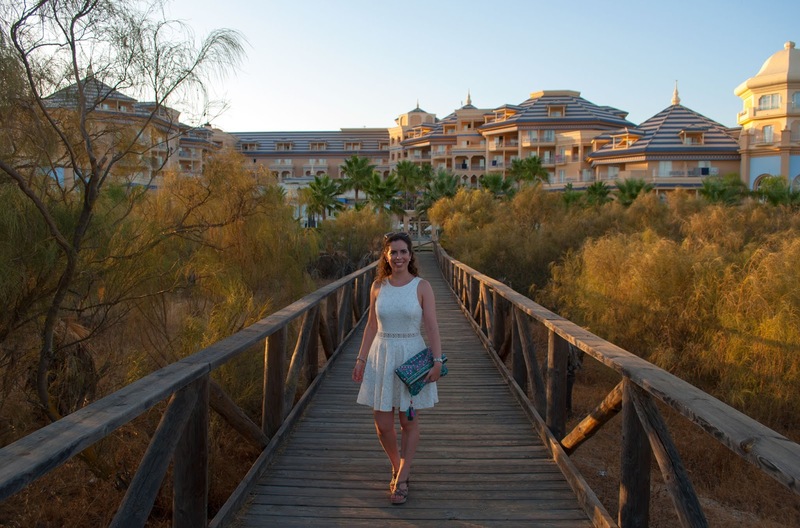 Sotogrande has a pretty marina, beaches and golf courses and five star hotels. It’s a lovely place for a promenade. 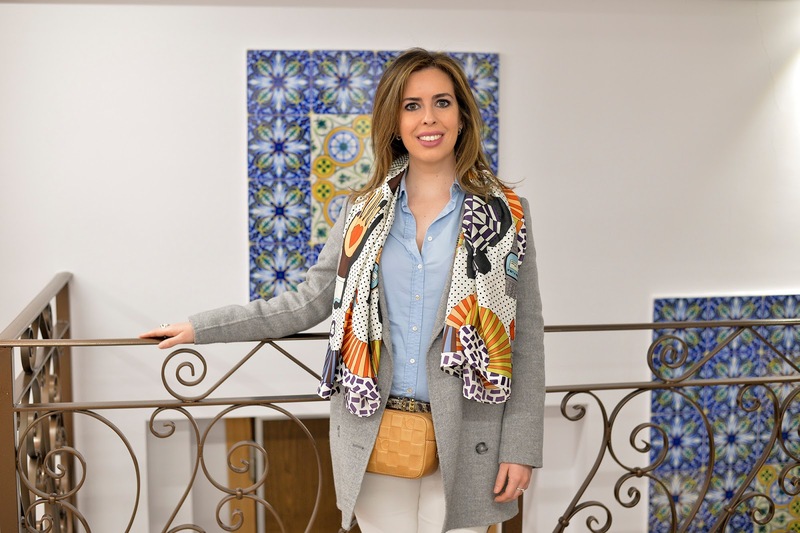 The coastal towns of Sanlucar de Barrameda, El Puerto de Santa Maria, Jerez are a must. 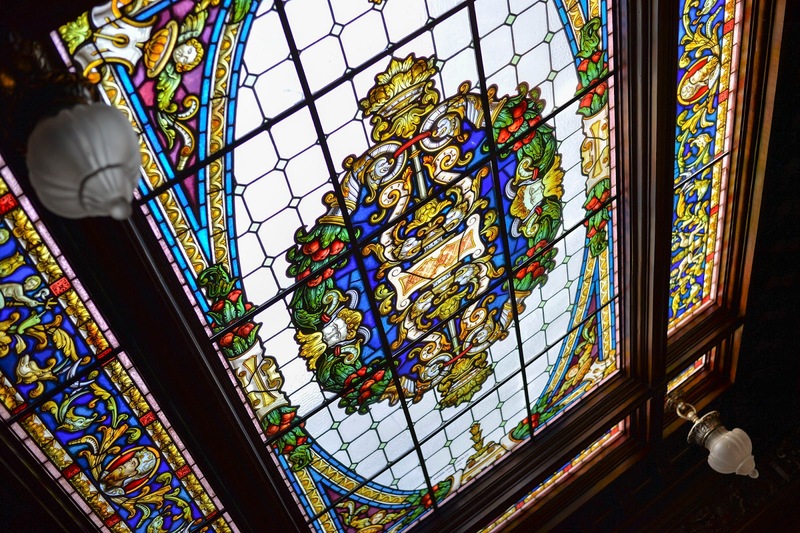 If you are a wine enthusiast, I recommend you visit the sherry wineries. Let’s move to Costa del Sol -Coast of the Sun. 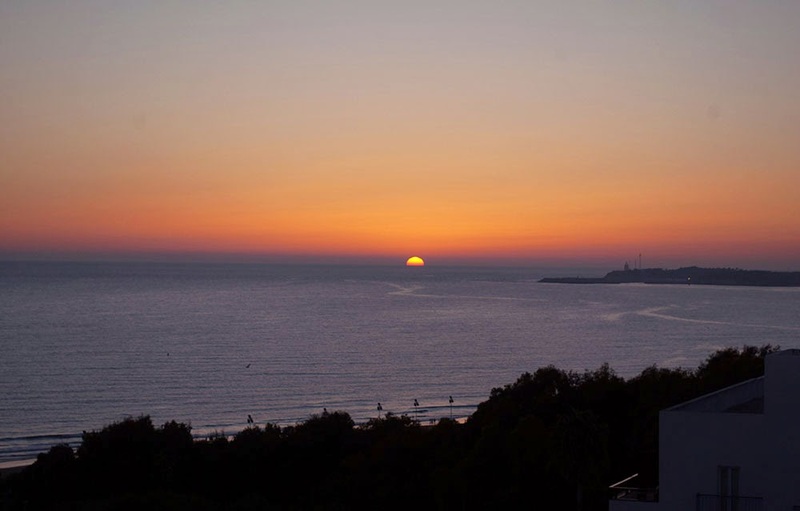 Malaga is probably the most popular beach holiday destination in Spain and therefore the most crowded. But crowds come here for a reason. The water is warmer and calmer than in the previous destinations. Malagueta is the beach of the city of Malaga. The luxurious Gran Hotel Miramar is nearby, but if you don’t mind being a bit further and get spectacular views of the city, Parador de Gibralfaro is the place to stay. Marbella and Puerto Banus, one of the most expensive and luxurious places in Spain. It’s a favorite among millionaires from all around the world with a port where you will find the biggest yachts you’ve ever seen. The coastal town of Benalmadena. Here you can visit the impressive Castillo Monumento Colomares. A modern day castle that pays homage to Cristopher Columbus and the discovery of America. 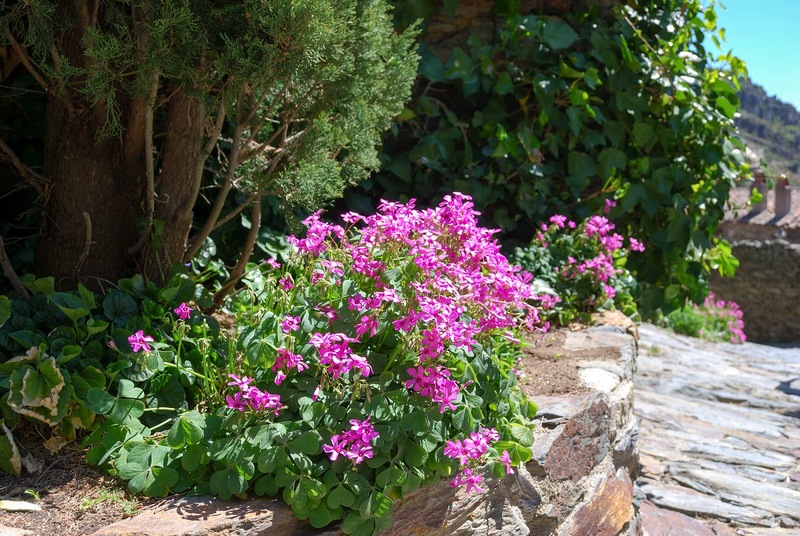 Guadalmina, a picturesque village with colorful houses. This is the least known -and least favorite- beach destination. The beaches in Costa Tropical aren’t as good as the previous ones and it’s the hottest region because part of it is desert. Still, there are some beaches and resorts worth visiting. Roquetas de Mar is the most popular tourist town in this region. 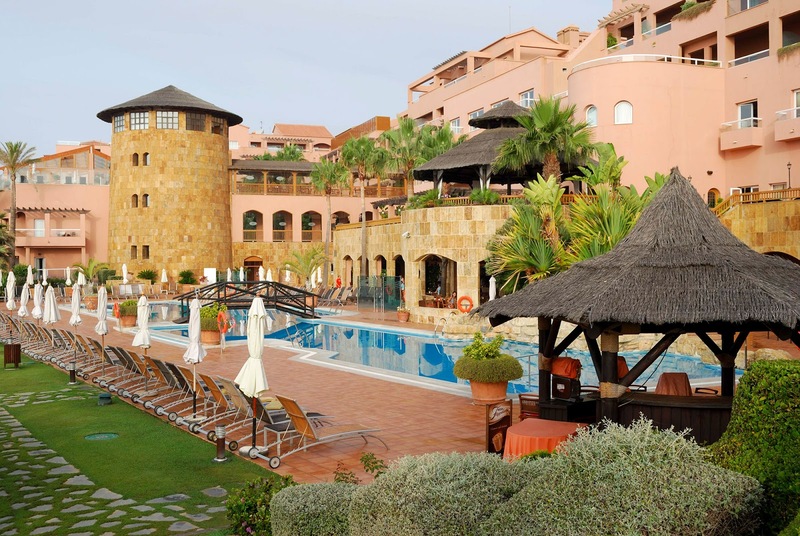 Protur Roquetas Hotel & Spa is an affordable 5 star hotel. The Alcazaba in the city of Almeria is a former Mulsim fortress which is was of the Spanish settings of Game of Thrones. Being an avid reader, bookshops are always in my travel itinerary, especially if I'm traveling abroad. I could spend hours in a bookstore, they are my happy place. Sometimes, I even keep myself from entering because otherwise I'll mess up the travel plan for the day... 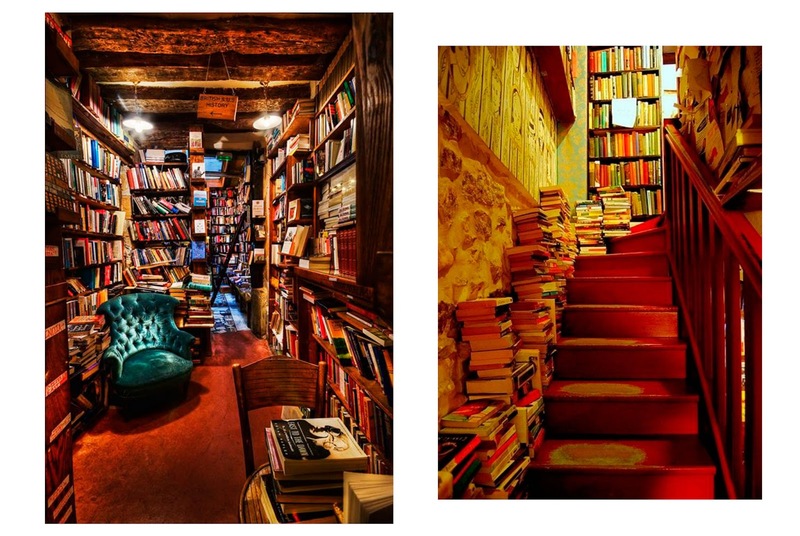 Thanks to Instagram and Pinterest, I've discovered plenty of unique and beautiful bookstores around the world that don't appear on your average travel guide and which combine endless rows of books and incredible decor. Can we ask for more? 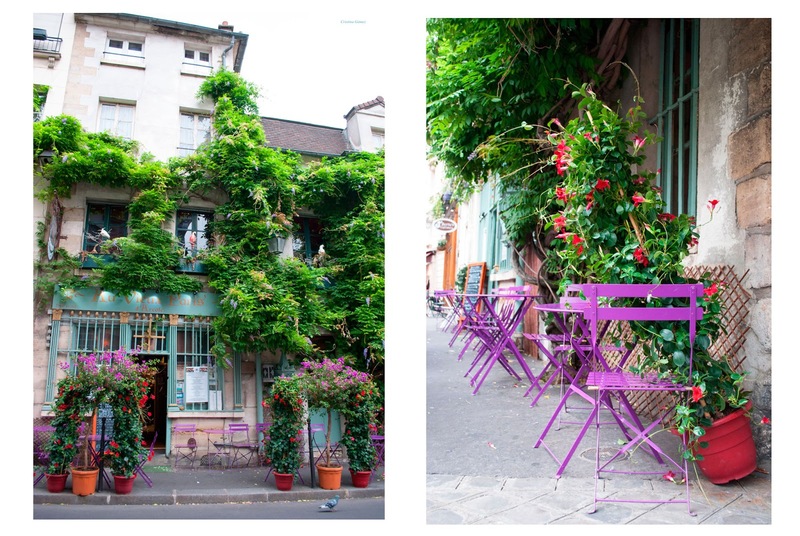 On this post I'm sharing 3 beautiful bookshops you must visit in Europe and 3 more that I can't wait to see with my own eyes. 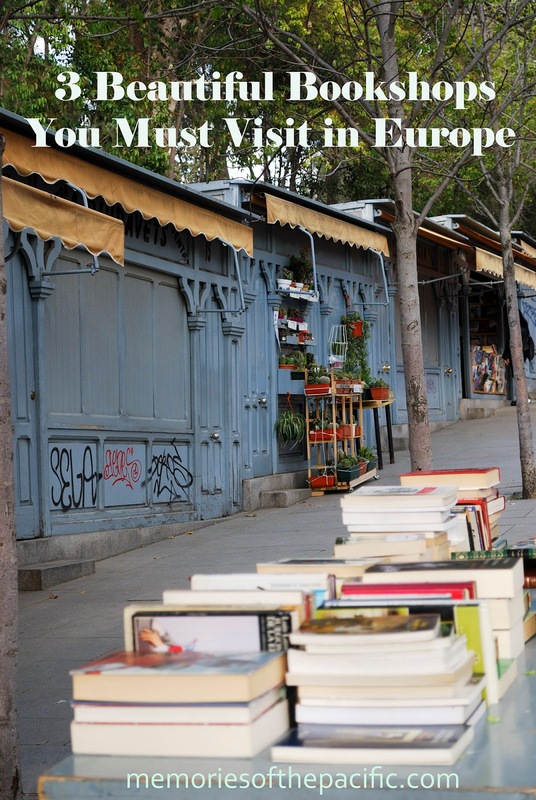 Without further ado, let's check out some of Europe's best bookstores. 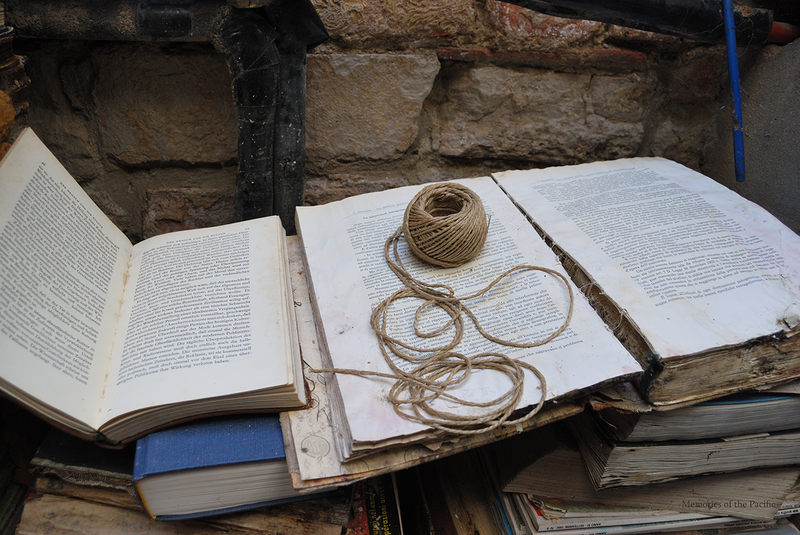 Old books to buy from tiny wooden shops. It doesn't get much cooler than that, right? 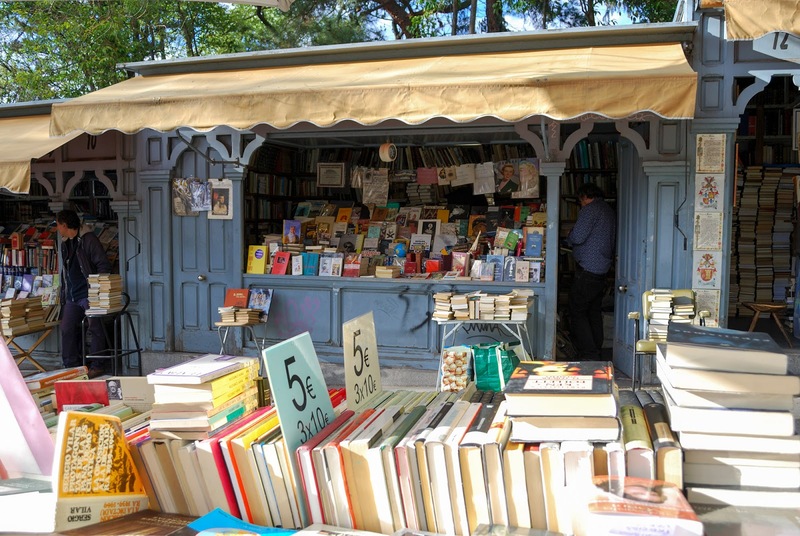 If you walk past the Botanic Gardens, you will find this cute vintage book market on Cuesta de Moyano. 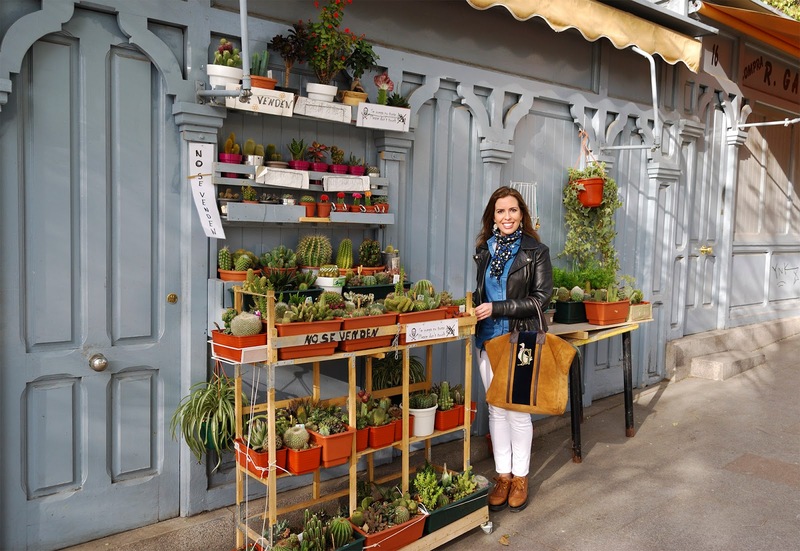 It is easy to find because it's very close to Retiro park and Atocha train station. 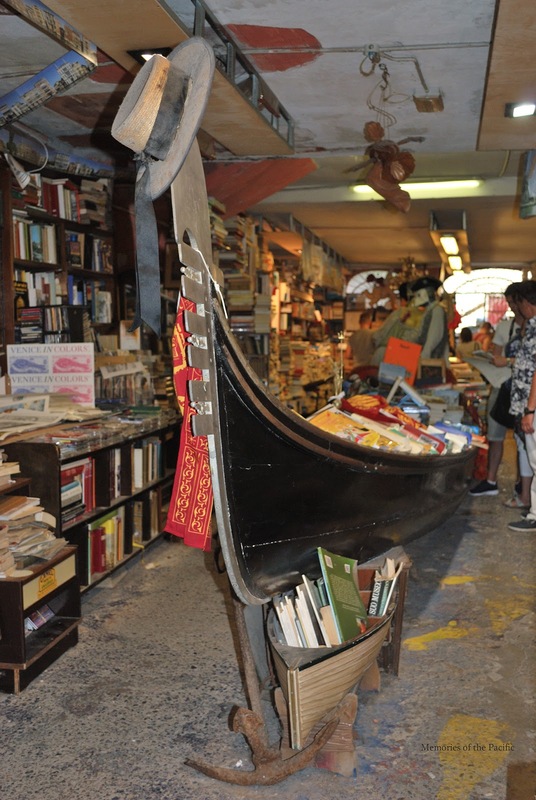 If you like those iconic booksellers along the Seine in Paris, you are going to love this hidden gem. This is a permanent book fair and it's open from Monday to Sunday from 10am to 6pm. 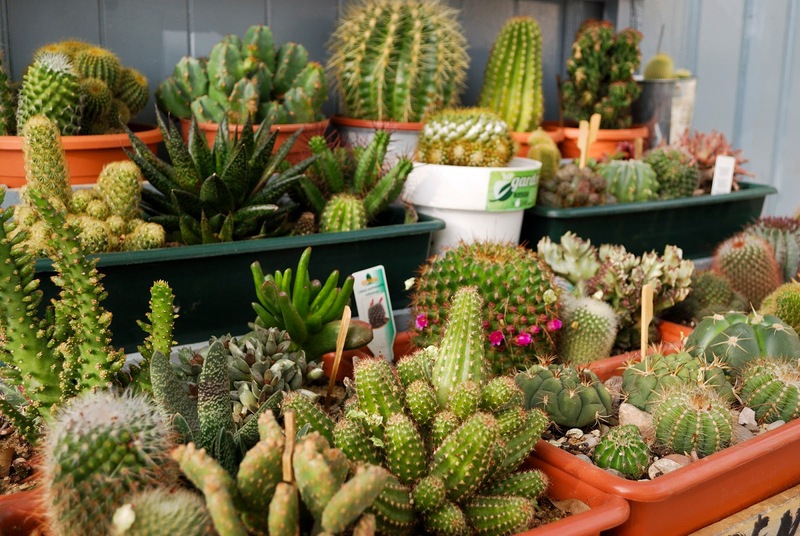 Oh, and there is much more than books, there's also an impressive cacti exhibit! PARIS - Shakespeare & Co.
A charming bookstore in the heart of Paris which has become one of the most famous in the world in recent years. In fact, don't be surprised if you find a queue to enter. 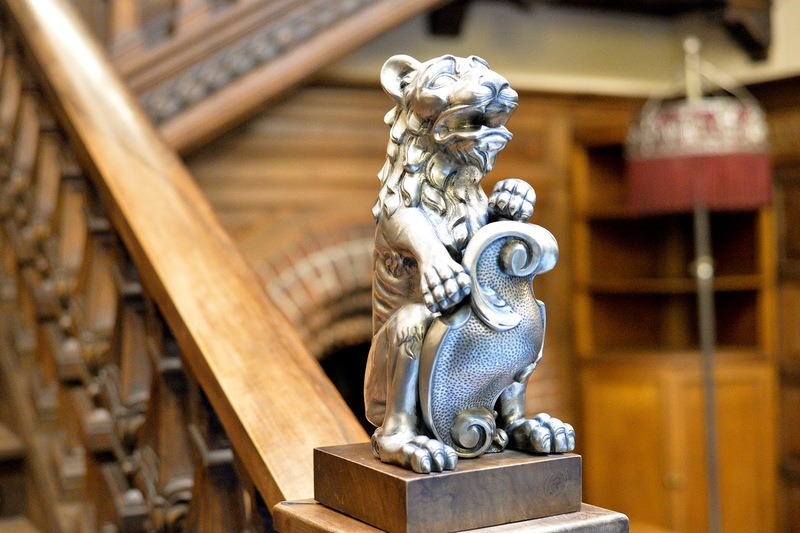 They host readings a few times a week, so check out their event calendar to plan your visit. 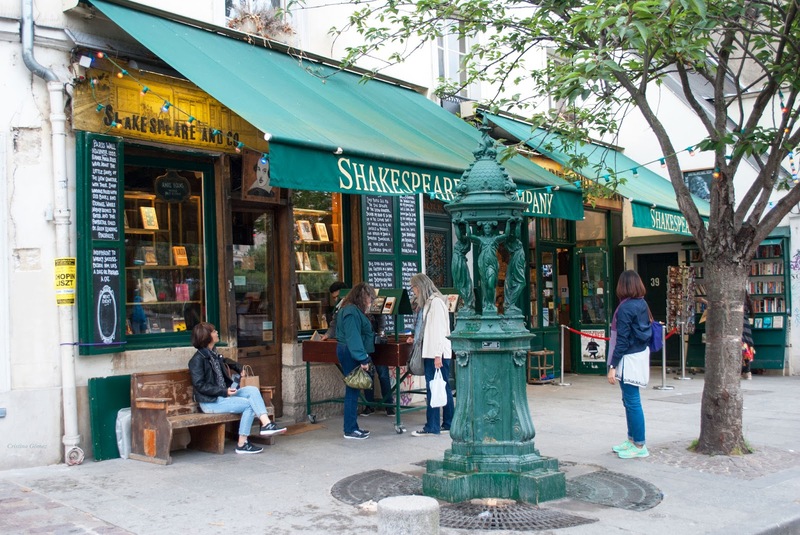 If you buy a book, they will stamp it with the bookstore's logo which makes it a great souvenir to get from your trip to Paris. 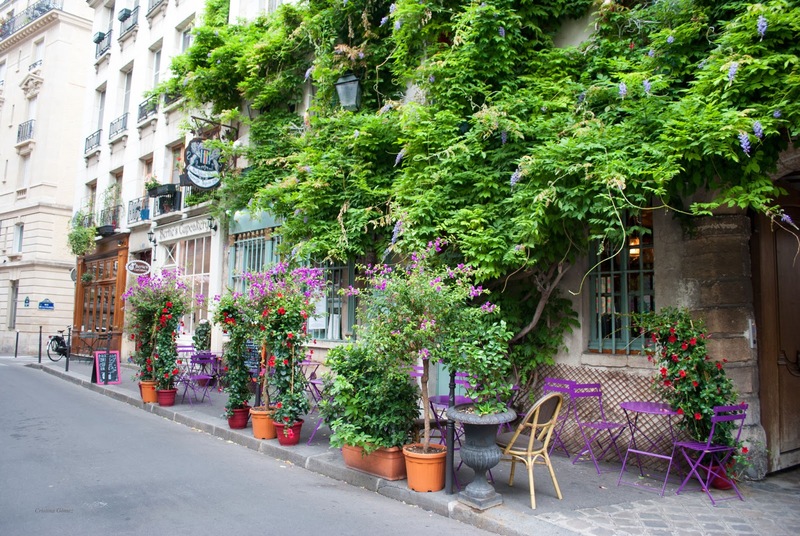 After visiting Shakespeare and Co., I recommend you stop by the beautiful restaurant Au Vieux Paris -pictured below- which is just 5 minutes away. This is one of the most unique and unusual spots we've ever been to. 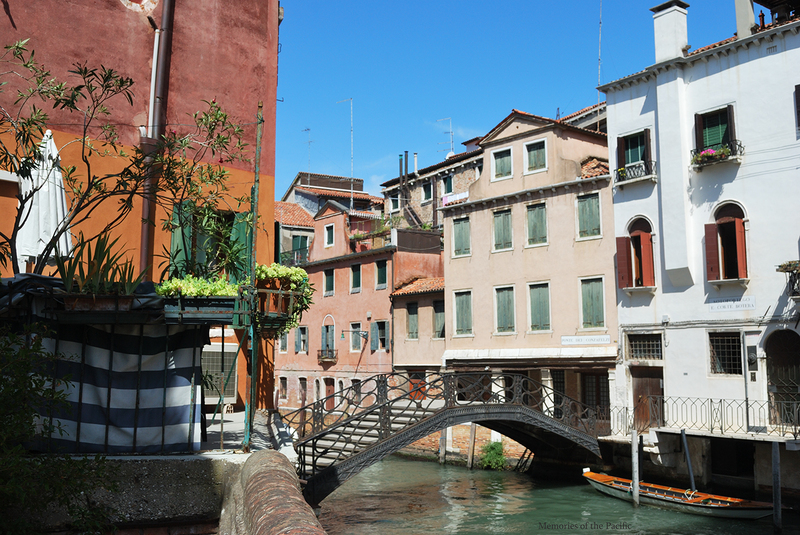 It's one of those places off the beaten path you must visit in Venice. 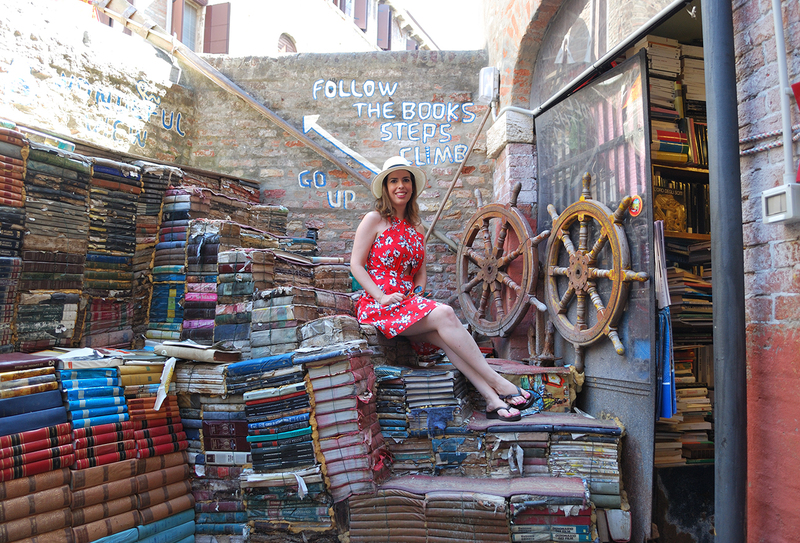 This self-proclaimed "most beautiful bookstore in the world" houses a full-size gondola inside which serves as a shelf and if you climb the "booksteps" in the backyard you get amazing views of Venice. Daunt Books, Marylebone in London, England. 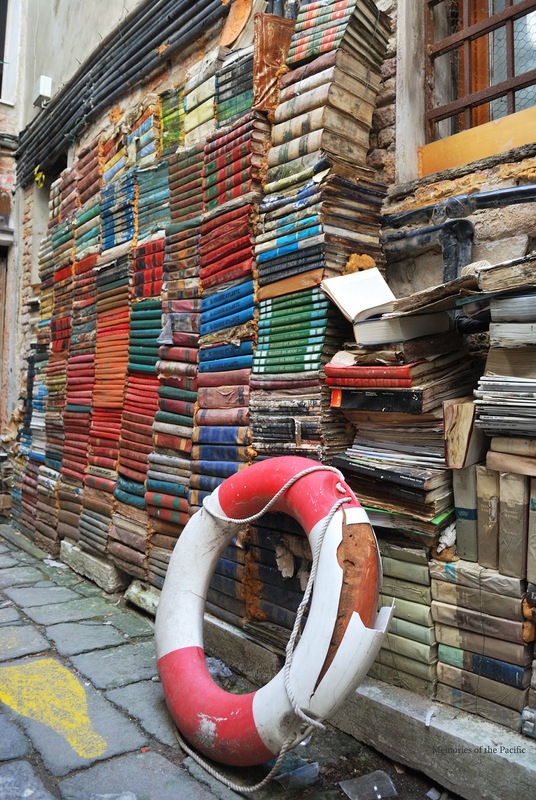 It's considered one of the most instagrammable bookshops in London. Livraria Lello in Porto, Portugal. This bookshop is said to have inspired J.K. Rowling when she was writing the Harry Potter series. Carturesti Carusel in Bucharest, Romania. 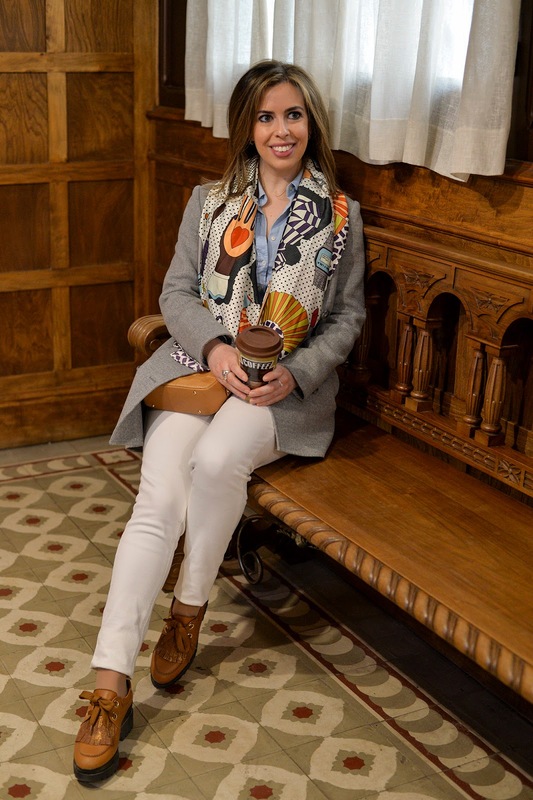 Located in a restored old bank building from the early 1900’s. 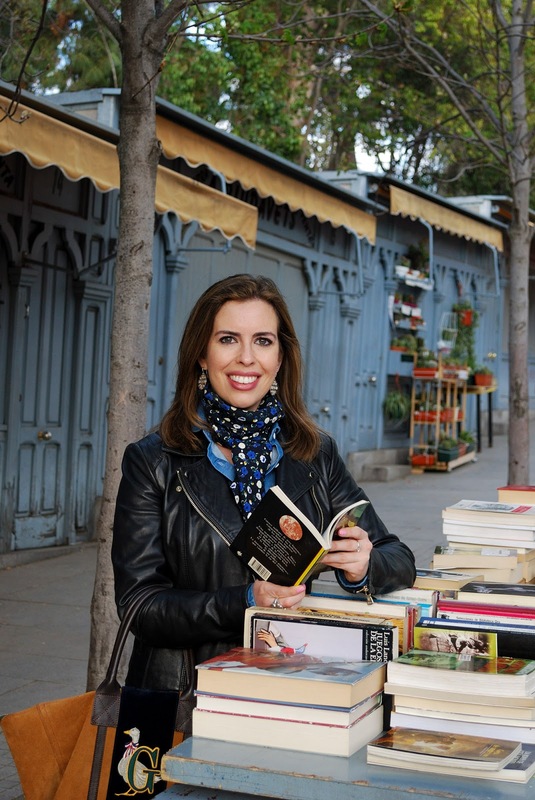 I hope you enjoyed this post and that you'll help me discover new unique bookshops too! Do you know any other ones that I should add to my list? Corona is one of the most famous beers in the world. Wherever you travel, you can order one. Most people know that Corona -or Coronita as we know it in Spain- comes from Mexico. However, not many know that its history started in my Spanish hometown: Leon. On this post we are going back in time to learn about the origin and some interesting facts about this world-famous brewery. In Leon, there's a museum that remembers and honors all those locals who emigrated to Mexico in the early 20th century. 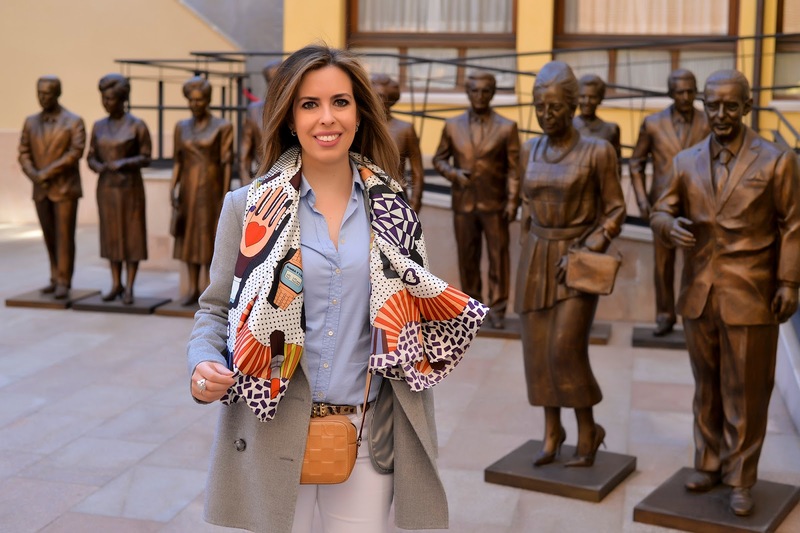 The Museum, called Museo de la Emigración Leonesa, belongs to CEPA Foundation, created by the nephews of Don Pablo Diez, the founder of Grupo Modelo which created the beers Modelo, Corona and Negra Modelo. Pable Diez left Spain in 1905. With the help he got from the Dominican Friars he sailed out to Mexico. After working in several jobs, he started his own business. Apart from being a businessman, Pablo Diez founded seminars, sanctuaries, and hospitals in Spain and did an astounding philanthropic work in Mexico, creating for instance Sanatorio Español, the Red Cross's central hospital in Mexico City and the Instituto Nacional de Cancerologia (National Institute of Cancer Research). 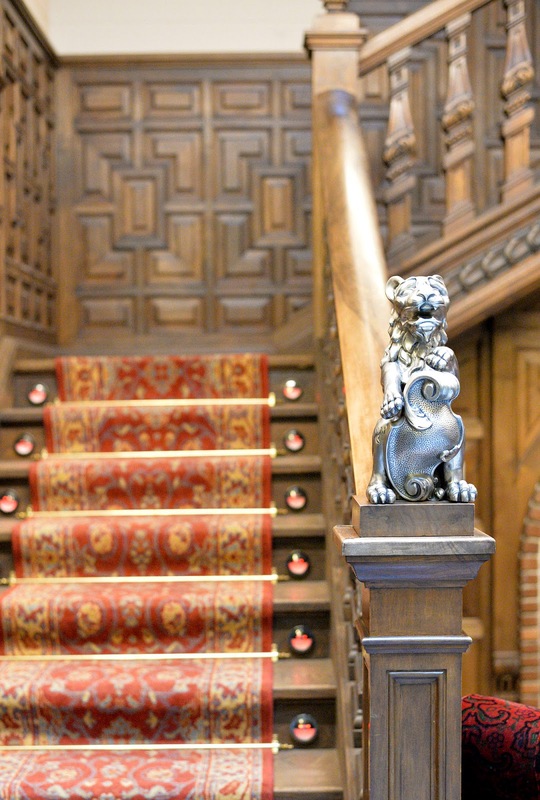 Museo de la Emigración Leonesa is located in Casona de los Perez, a mansion in the city center of Leon which is worth visiting just because of its decor and spectacular woodwork. It was the place chosen by the descendants of the creator of Corona to show us the hard work and determination of those who left their hometown to find a better future. What's the difference between Corona and Coronita? In Spain, Corona is known as Coronita because it's a smaller bottle than the one you can find in other countries. In Spanish we add the diminutive suffix -ita or -ito to the end of words to refer to a smaller version of it. However, that's not the only reason why we call it Coronita. It was actually a trademark dispute that didn't allow the use of the name Corona in Spain until 2016 when it was sorted out. Why do they put lemon or lime in Corona? There are different theories. Some think it's because it cleans the tip of the bottle, kills germs and others say it's to enhance (or mask) the beer’s flavor. 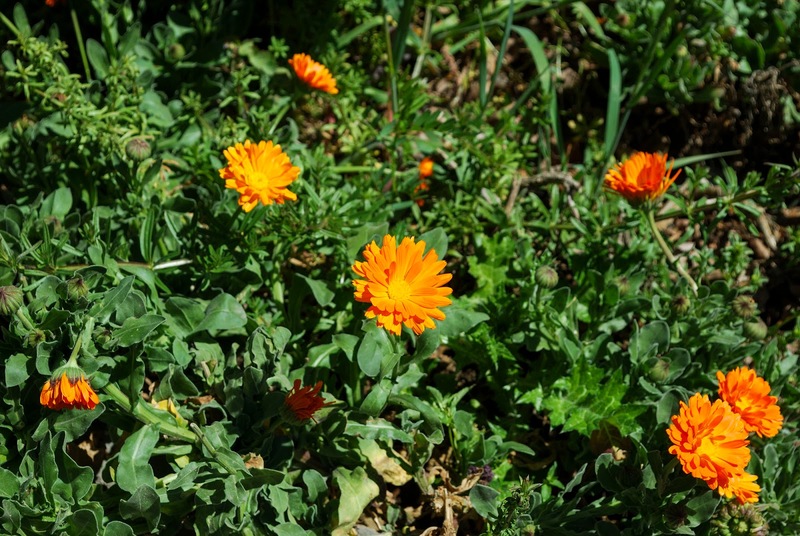 I hope you found this post about the origin of Corona interesting and that you learnt something new. The museum opened last year in June so it was my first time visiting and I learnt a lot too. 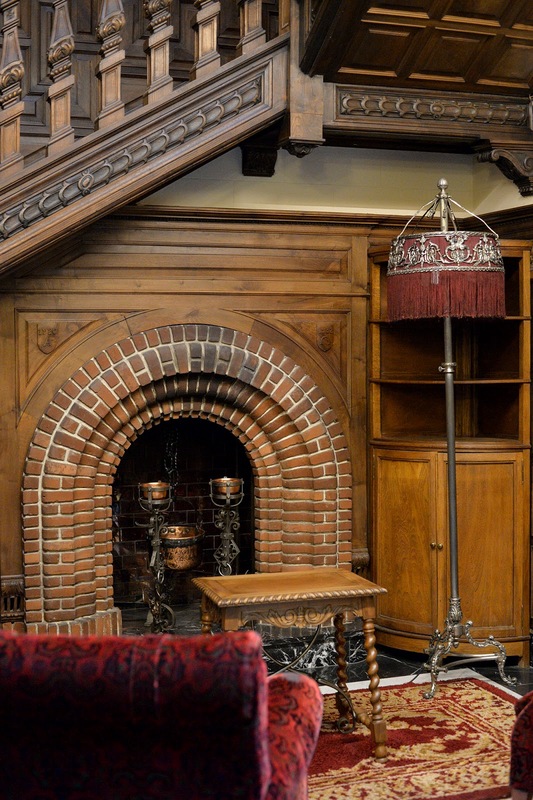 I'm so glad that they are using mansions like this as museums. It's a way to see a hidden gem that otherwise would be closed and probably run-down. The museum is open every day except for Mondays. Admission is 5€. Address: Avenue Suero de Quiñones 8, Leon. 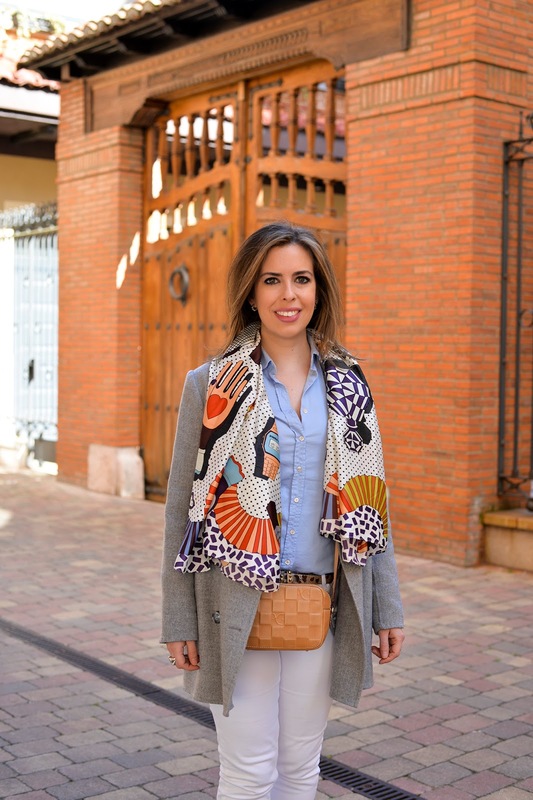 You can find my crossbody bag here and my printed scarf here.